Heartland provides a full range of real estate advisory services. In some cases, we provide additional capacity to organizations requiring more depth or breadth in real estate. In others, we are a sounding board and advisor for families, companies and agencies seeking to maximize the value of their policies, portfolios or properties. In every instance, we navigate challenges and maximize opportunities through asking questions, testing assumptions and aligning team members toward a shared vision and effective implementation. The hallmarks of a Heartland project are results that speak for themselves, clarity out of confusion, alignment out of conflict and improved economic and environmental outcomes. Despite the variety of contexts, we are advisors first and support our clients from strategy development to analytics to implementation and long-term stewardship. In all cases, Heartland exists to assist our clients across the private, public and non-profit sectors in achieving their unique goals. 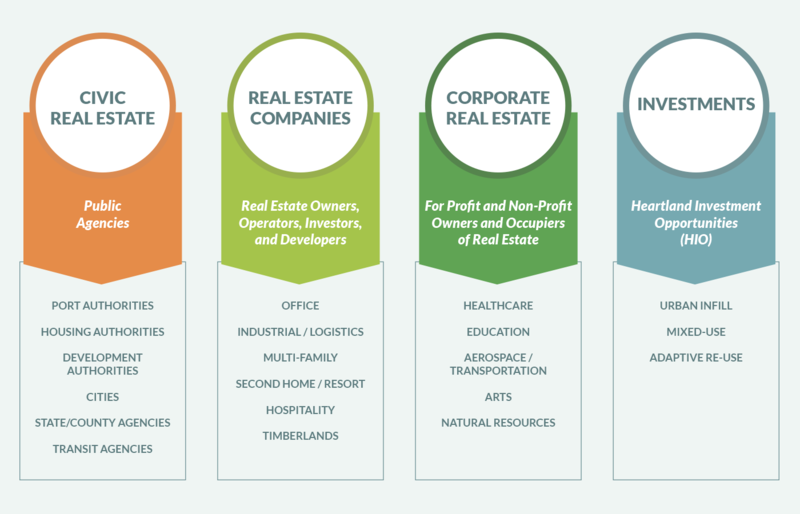 Heartland’s practice spans the full spectrum of economic sectors, real estate product types, and geographies. Our clients include owners, operators, investors and developers of real estate, public agencies, and both for-profit and non-profit occupiers of real estate. Our work across each of our practice areas informs and benefits the value we provide across all of our practice areas. Heartland has a long history advising civic clients on publicly owned real assets and portfolios, as well as public policies relating to the built environment. The expertise derived as a real estate investor, broker and advisor of privately owned assets furthers our ability to advise public clients in all aspects of real-estate related activities. Our experience working on complex, often highly visible real assets and the knowledge gained from navigating complex stakeholder environments enhances the value we bring to our civic real estate clients. Heartland was retained by the Port of Seattle to create a real estate strategy focused on defining the redevelopment economics and implementation strategies for properties within the Port’s current portfolio, as well as identifying non-port owned properties that the Port might consider acquiring and repositioning over the long-term. Heartland prepared property-specific and portfolio level financial analyses, tested alternative development scenarios and transaction structures, and identified specific steps that can be taken to execute the plan. To assess non-port owned properties, Heartland created a GIS-based tool that evaluated numerous property characteristics for every industrially zoned property in King County. Heartland was then engaged to execute on the Real Estate Strategic Plan, which includes marketing several major industrial and maritime ground lease development opportunities through a Port-driven RFP process, supporting build-to-suit lease negotiations and providing financial analyses to inform new strategic initiatives. 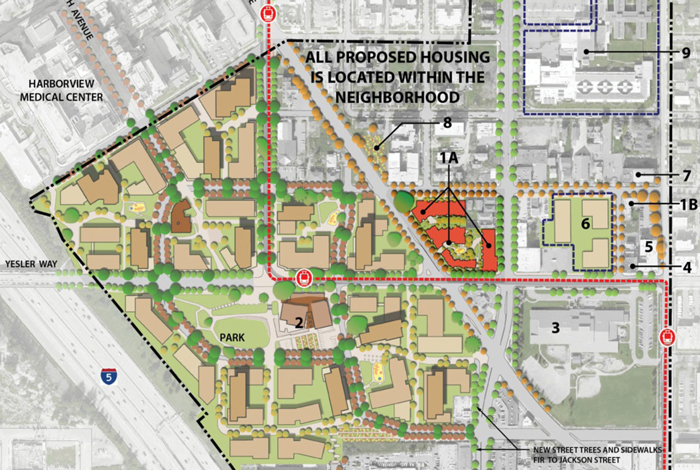 Heartland was recently engaged to help the City of Bellevue evaluate the redevelopment potential of a key TOD property at the planned 130th light rail station in the Bel-Red Corridor. 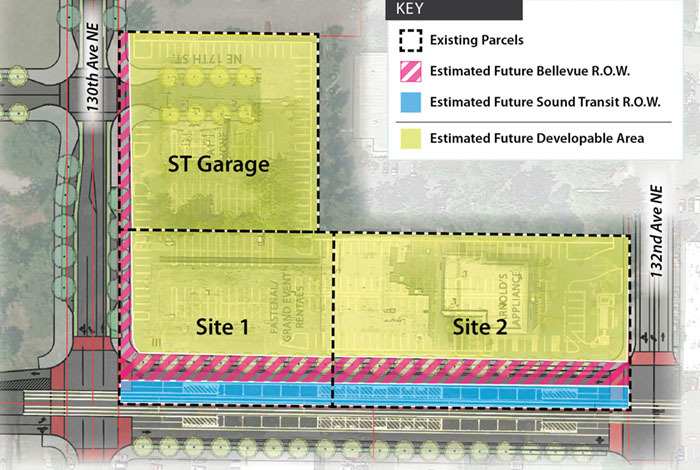 In addition to a mix of housing and commercial uses, the site will need to incorporate a 300-stall park-and-ride facility as mandated by Sound Transit. Heartland is conducting a detailed financial analysis of potential development programs and their impact on overall project value. This includes sensitivity analysis around market conditions, affordable housing goals and construction costs. The outcomes of the analysis are being leveraged by Heartland to inform implementation strategies for the City with a focus on financial outcomes, timing and policy priorities identified by City leadership. 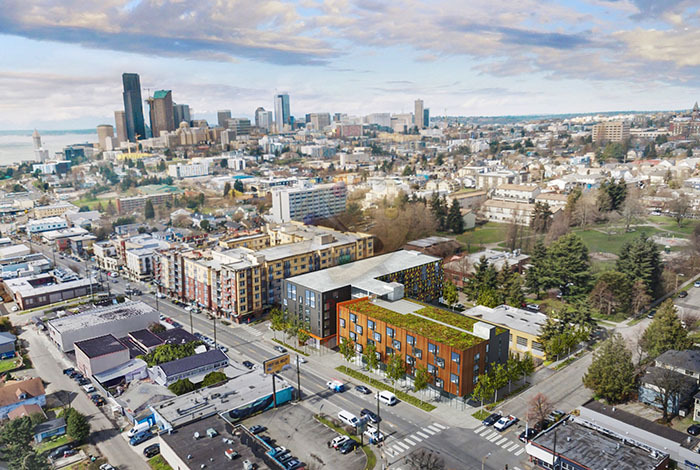 Heartland was engaged by the Seattle Housing Authority (SHA) to provide strategic planning and real estate development feasibility services related to redevelopment of SHA’s Yesler Terrace property. Heartland’s work for SHA on the project included both technical market analysis and financial modeling as well as high-level strategic direction with respect to how to best position the project to support financial and organizational goals. Heartland’s work helped to secure a Choice Neighborhoods grant that was used to fund the first phase of the project, complete an Environmental Impact Statement and secure key regulatory approvals for the project in Fall 2012. Heartland also negotiated the $20 million sale of three blocks of land to Vulcan Real Estate. 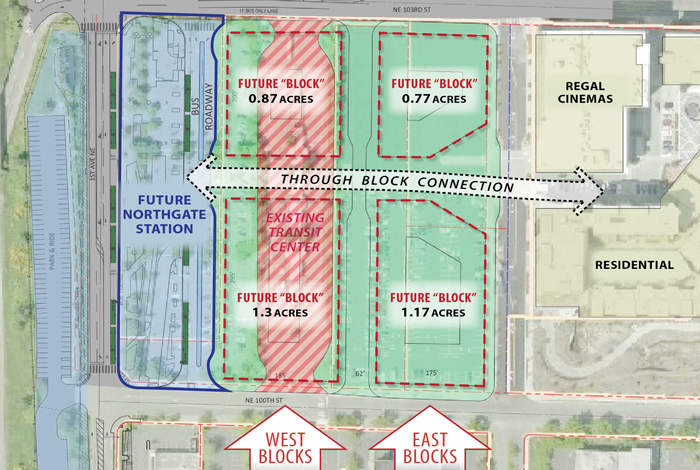 Heartland is leading a multidisciplinary team that is currently helping King County Metro (“Metro”) refine its redevelopment strategy for its Northgate Property, a 5.7 acre redevelopment site adjacent to the Northgate Transit Center and a future LINK Light Rail Station. Building upon work conducted in our 2013-2014 engagement with Metro, Heartland’s current strategic analysis will inform potential disposition and entitlement activities on the property, as well as the potential County collaboration with the City of Seattle in securing public benefits in a future mixed-use, transit-oriented redevelopment project. Heartland is representing the City of Redmond in the sale of their property as part of a 30,000 sf land assemblage. Prior to marketing the site, Heartland evaluated surrounding land comps, market conditions in the nearby area, zoning and entitlement challenges, and overall capacity of the opportunity. Through the marketing process, Heartland helped the City evaluate over seven offers and select the offer that best meets the City’s goals. Heartland work with the city to get the PSA approved and agree on a shared-parking agreement. The selected developer is proposing a 90-unit multifamily development with a shared parking garage facility. 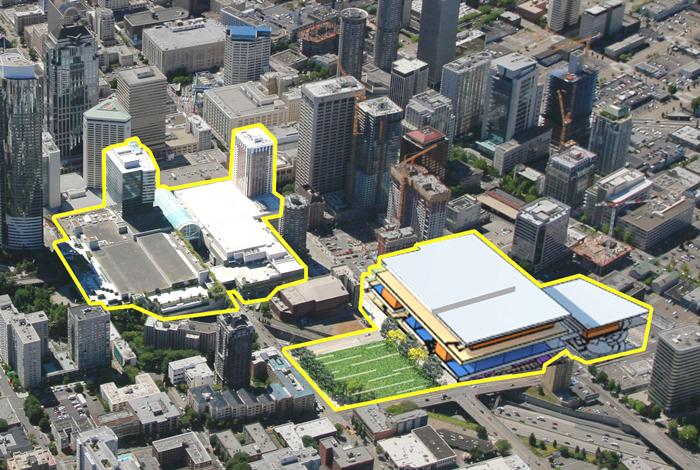 Heartland was engaged by King County to provide strategic real estate advisory services, financial analyses and feasibility analyses to King County related to its proposed TOD project at Convention Place Station. Heartland LLC served as strategic real estate advisor for the Port of Bellingham’s Waterfront District, a 137-acre former Georgia Pacific pulp mill adjacent to downtown Bellingham. Heartland was engaged to develop and implement a market outreach plan to secure private investment into the District, key to helping transform the Port and City’s redevelopment vision into a reality. 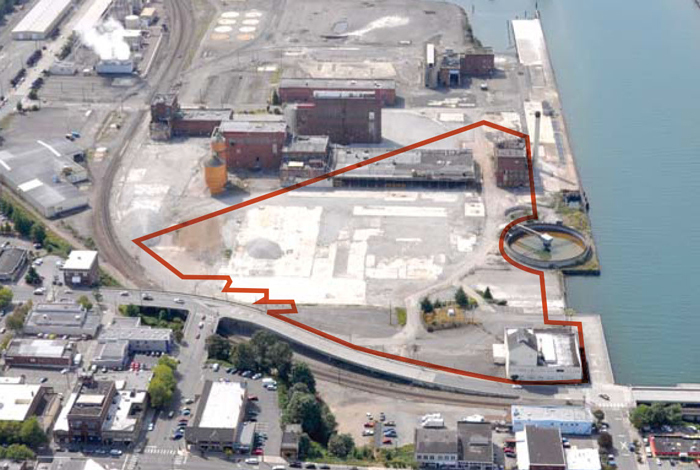 With a focus on securing a master developer for the 20-acre initial phase, Heartland engaged in a two-stage marketing process, with the Port ultimately selecting Harcourt Developments from among nine (9) proposals. Heartland then assisted the Port in negotiation of a Master Development Agreement with Harcourt, which was executed March 2015. 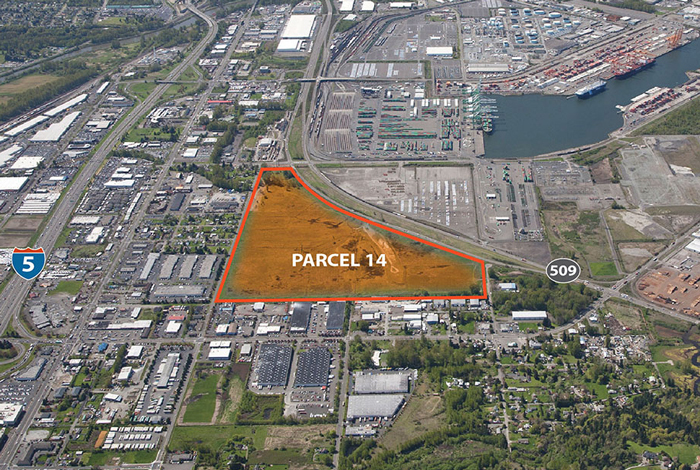 Heartland, in partnership with WA-REA, was engaged by the Port of Tacoma to analyze and market for lease one of the Puget Sound Region’s most significant industrial land assets. The Port’s objective in this project was to recruit developers and users to this 80-acre site that are supportive of the Port’s core businesses and able to leverage the Central Puget Sound’s trade based-economic sectors. The Heartland/WA-REA team used its knowledge of industrial land economics, the land development process and the industrial/logistics market to position and negotiate a long term ground lease of this high value Port asset. Construction is expected to start in the spring of 2016. Heartland has a depth of experience devising and implementing strategies for real estate companies and investors, related to specific assets, portfolios and at the firm/organization level. Heartland’s advisory-first methodology focuses on asking the right questions to develop strategies, analyzing alternatives, testing the alternatives through market feedback and robust financial and data analytics and then, as appropriate, assisting with implementation. Implementation ranges from transaction support (acquisitions, dispositions, leasing) to joint ventures to team formation to capitalizations to asset management and everything in between. 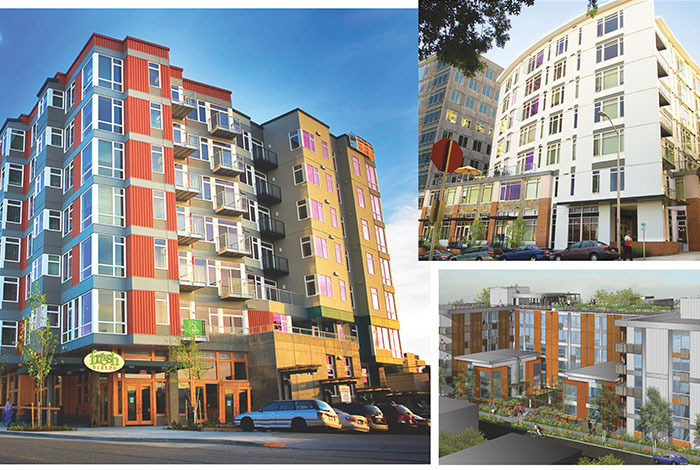 Heartland was engaged in 2013 by the Redman Family, a third-generation Seattle family and founder of Sellen Construction, to conduct a highest and best use (HBU) analysis, financial feasibility analysis and to create and lead an implementation plan for the development of a long-held family assemblage in the heart of South Lake Union (SLU). The goal was to create a high-quality, legacy asset that contributes to increasing the vibrancy and richness of South Lake Union and creates value for future generations. As part of the implementation, Heartland led the formation of the development team, the financial analysis, deal structuring and capitalization (both debt and equity) for the project and is providing project management and ongoing asset management through construction and operations. 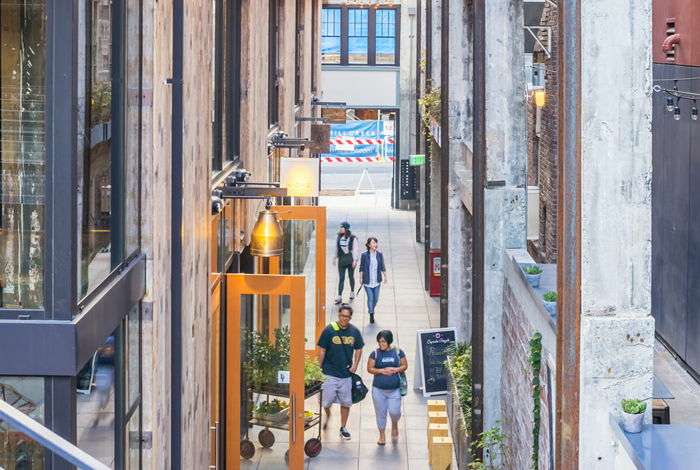 The 170,000 square foot mixed-use boutique office development was completed in 2018, with Amazon leasing the office space and an eclectic mix of retail tenants leasing space on the ground floor. Heartland has worked with the Samis Foundation to leverage one of its largest assets at Second and University in downtown Seattle to better serve the Foundation’s educational mission for generations to come. Working closely with the Samis staff and board, the Heartland team evaluated numerous development scenarios and deal structures with a focus on mitigating near-term risk and growing long term cash flow. 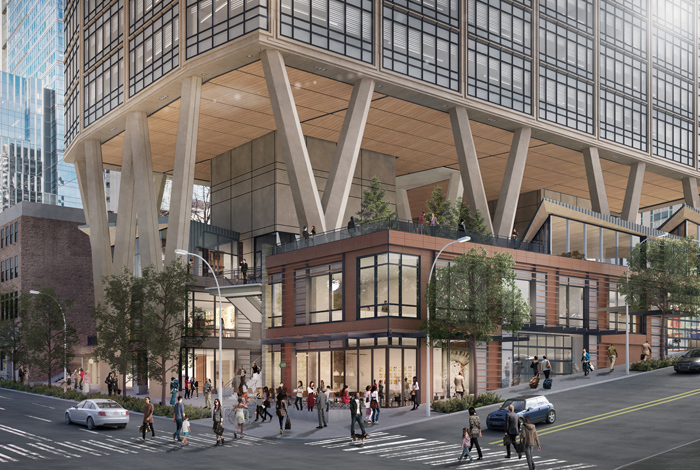 After extensive negotiation, the Samis Foundation executed a 99-year ground lease with Skanska USA, who plans to build a +/-725,000 square foot office building with a projected opening in 2019. Heartland continues to advise Samis on other assets in its portfolio. 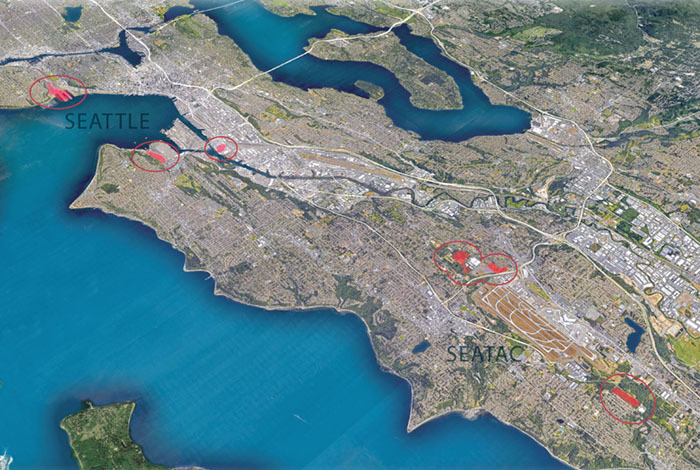 Bentall Kennedy (BK) serves as the pension fund advisor to the main capital source for two master-planned developments being pursued by Yarrow Bay Communities (YBC) in Black Diamond, Washington. Heartland was engaged to conduct a review of available studies, planning documents, cost estimates, budgets and proformas provided by YBC. The focus of the review was to provide an assessment of the overall general feasibility of the Developments from entitlement, land planning, market, and financial return perspectives. This phase of the work was completed with delivery of a comprehensive status report in March 2011. Since delivery of the report, Heartland has continued to assist BK to implement a strategic plan to maximize value of the assets. In addition to providing strategic asset management support, Heartland provides ongoing general project management oversight services to YBC and BK as predevelopment and development activities move forward. Heartland was engaged in 2012 to assist Touchstone Corporation in a recapitalization effort. Heartland facilitated a strategic process with Touchstone ownership and team to identify and evaluate succession-planning strategies that would enable a long-term sustainable path for the firm as well as provide an appropriate exit strategy for the founding partners. Heartland helped Touchstone prepare to go to market, including underwriting Touchstone’s team and portfolio of six (6) development assets ($1B in total development), defining an appropriate market process that respected the operations of the firm, developing collateral material, collecting and organizing due diligence material, and creating an investor communication and target plan. Heartland managed the recapitalization partner selection process. This transaction culminated in the acquisition of Touchstone by URG and retention of all current Touchstone employees, and earned recognition as NAIOP’s 2015 Deal of the Year. In 2009, Port Blakely Companies formed a strategic alliance with Heartland to assist in the realignment of company resources to focus on timberland ownership and asset management. To pursue implementation of this objective, Heartland assumed the daily operations of the company’s development division, Port Blakely Communities, and provided strategic planning, financial analysis, transaction and venture structuring, and negotiations services. 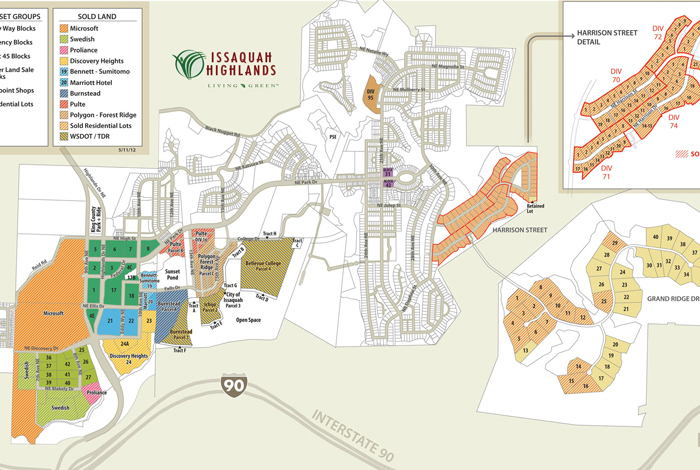 Port Blakely Communities substantially completed its remaining development activities and obligations at Issaquah Highlands and closed its office effective December 31, 2013. Heartland will continue to manage any remaining development activities and obligations until they are fully complete. Heartland was engaged in 2008 by Laird Norton Properties (LNP), the real estate investment company associated with Laird Norton Company, a multi-generational Seattle-based family office, to facilitate a strategic process to evaluate their national real estate portfolio. Heartland then worked with LNP to identify new real estate investment opportunities with a focus on programmatic relationships with top-of class real estate operating companies. As part of the implementation of their real estate investment plan, Heartland assisted LNP in finding an aligned local real estate operating company, Unico Properties, with whom to partner and invest. The successful capital alignment with Unico has resulted in a significant placement of capital by LNP and deployment of that capital in joint real estate investments. Most recently, in 2017, Heartland assisted in identifying and structuring LNP’s second programmatic joint venture with Spectrum Development Solutions, a local workforce housing and student housing developer. Heartland has been providing ongoing advisory services to LNP since 2008 and is continuing to provide internal capacity building assistance as well as real estate, capital, and strategic advisory services. 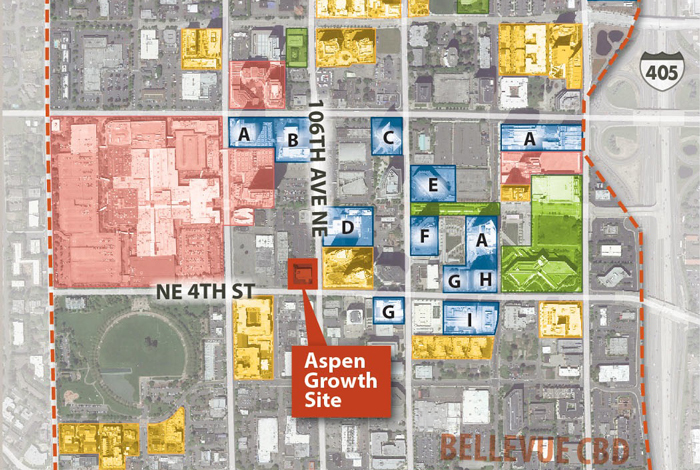 Heartland was engaged by Aspen Growth and its lender to develop and implement an asset management strategy for a land asset in downtown Bellevue encumbered with unique development constraints. 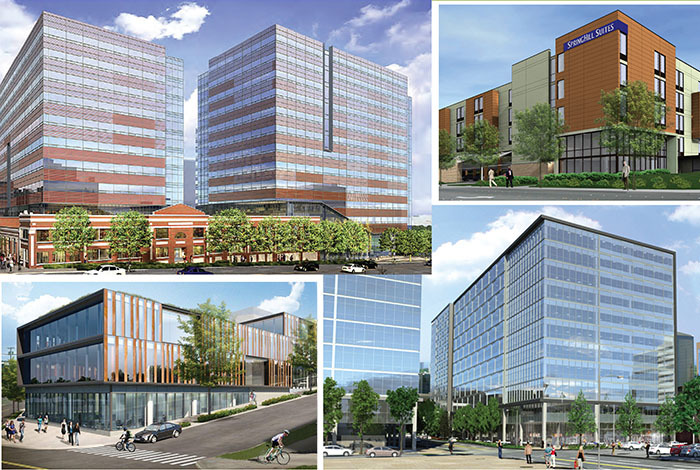 This engagement involved a comprehensive review of the existing site conditions and due diligence materials, a comprehensive review of all “as vacant” land sale transactions in the Bellevue Central Business District (CBD) in the past five years, a comprehensive analysis of the residential and commercial office markets in the Bellevue CBD over the next 10 years, and a detailed feasibility alternatives analysis of six different development scenarios for the site. With the client’s ultimate decision to dispose of the property, we then developed an Offering Memorandum and used a high-touch marketing effort to reach out to a target list of qualified developers capable of absorbing the constraints and closing the deal. Heartland’s actions resulted in multiple offers to purchase and the successful sale of the property in December 2013 to Schnitzer West. Engaged in 2011, Heartland served as an advisor to Joshua Green Corporation (JGC), a large Pacific Northwest-based family office, seeking to restructure and expand its investment in real estate. Heartland evaluated and helped formulate JGC’s long-term sustainable real estate investment plan. As part of the implementation of that plan, Heartland performed valuation, due diligence, negotiation, structuring and advisory services for JGC’s acquisition of the Urban Renaissance Group (URG), a full-service commercial real estate operating company, based in Seattle. The transaction included a $150 million merger of JGC’s real estate equity and additional capital with URG’s proven operating platform in the western US. Heartland provided transaction management support for the acquisition (completed October 2012) and URG now manages a portfolio of over six million square feet of office and retail properties, making URG one of the largest, locally owned real estate firms in the region. Heartland served as capital advisor to Harbor Properties (“Harbor”), facilitating a strategic process with Harbor’s Management and Board to evaluate recapitalization alternatives that would provide existing shareholders with access to liquidity and raise additional growth capital to allow the new entity to grow its brand and platform. Heartland worked with Harbor to prepare to go to market, including underwriting Harbor’s team and organization, defining an appropriate market process, developing collateral material, and collecting and organizing due diligence materials. Heartland created an investor communication and target plan, and managed the capital partner selection process. Ultimately, it was determined that Harbor’s objectives would be best met through an outright sale, so Heartland facilitated the sale of Harbor to a combination of Urban Partners and AREA. The sale in early 2012 culminated in the creation of a combined entity, Harbor Urban, which has now evolved into Mack Urban. Whether for-profit or non-profit, organizations are increasingly seeking to unlock value in their tenancies or their real assets. Heartland advises organizations that own and/or occupy real estate and provides transaction support services, including investment sales, tenant representation, and asset acquisitions, that flow from strategic planning engagements. By assisting clients with real estate strategies at what are frequently transformational moments in their broader businesses, we recognize that we are not only facilitating “a deal” but also supporting our clients’ respective mission-based objectives. 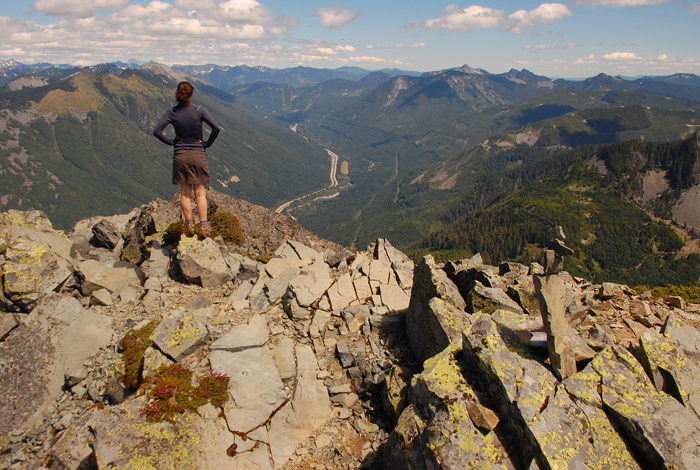 Faced with significant growth constraints, REI engaged Heartland in 2015 to evaluate its corporate headquarters in Kent, Washington, and explore relocation alternatives within the Puget Sound region. Heartland worked with the CEO and Senior Management Team to develop criteria against which to test both geographies and specific sites within those geographies. 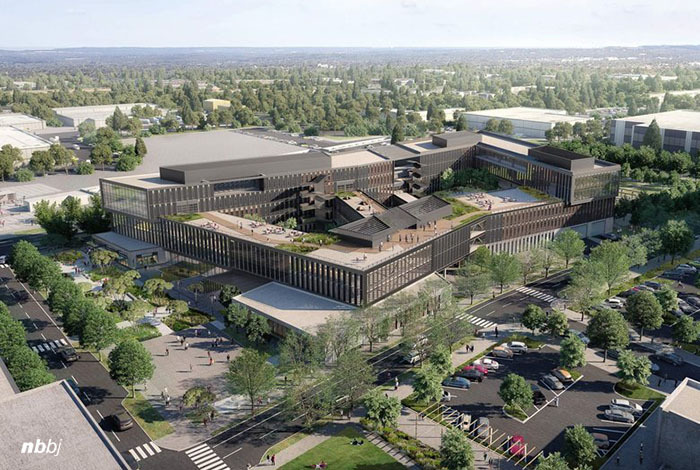 After an exhaustive search process, REI ultimately chose the Spring District in Bellevue, Washington as the preferred location for their corporate headquarters. Heartland then assisted REI in negotiating a transaction with the property owner, as well as providing REI with owner’s representation services on pre-development activities. Heartland is also being retained by REI to represent them in the sale of their Kent campus, which consists of four (4) buildings totaling just under 167,000 square feet of office space. In 2014, Heartland was engaged by the Seattle Opera to assist with the consolidation of their multi-location operations into a permanent home that would act as a catalyst for several public-private partnerships at the Seattle Center, ultimately driving value and vibrancy to the heart of the arts and entertainment corridor of the City. Heartland assessed the Opera’s owned and leased real estate portfolio through a market, regulatory, physical, financial and legal lens. Heartland then assisted the Opera’s Board and Senior Leadership team with an alternatives analysis to arrive at a strategy that would both satisfy the Opera’s programmatic and operational objectives, but also optimize asset values, direct or indirect financial contributions to the project as well as minimize risk. Heartland, along with the full project team, worked successfully with a broad range of public and private groups to build needed support, including Seattle City Council and King County for financial support. 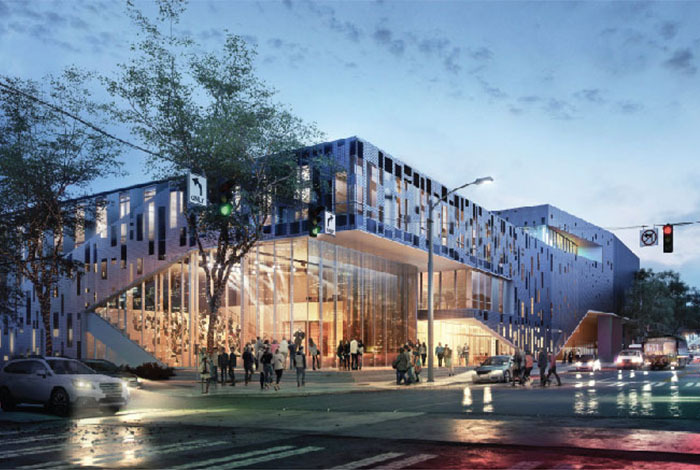 Most recently, Heartland assisted the Opera in monetizing one of its key assets in the Uptown neighborhood in support of the completion of the $60M, 105,000 square-foot Seattle Opera At The Center permanent home, which began construction in January 2017. Heartland was engaged by Weyerhaeuser Company to evaluate its corporate campus in Federal Way, Washington, and to create and test a variety of alternatives for downsizing the footprint of their corporate headquarters. 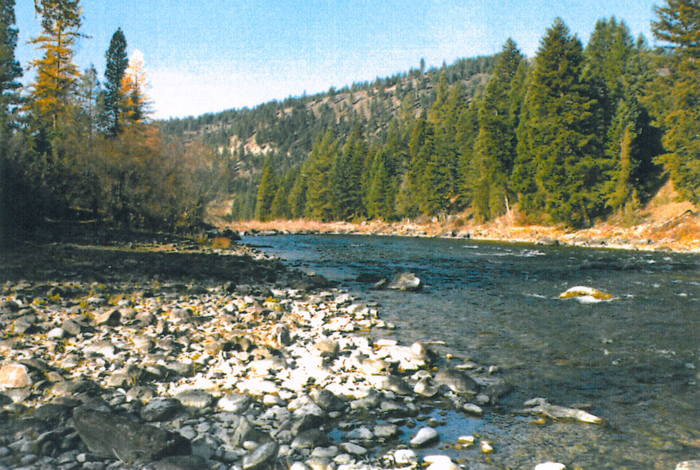 Upon making the decision that relocating to Seattle was the best option, Weyerhaeuser engaged Heartland in a brokerage capacity to source both on- and off-market opportunities that could accommodate the Company’s 800 FTE capacity requirement. 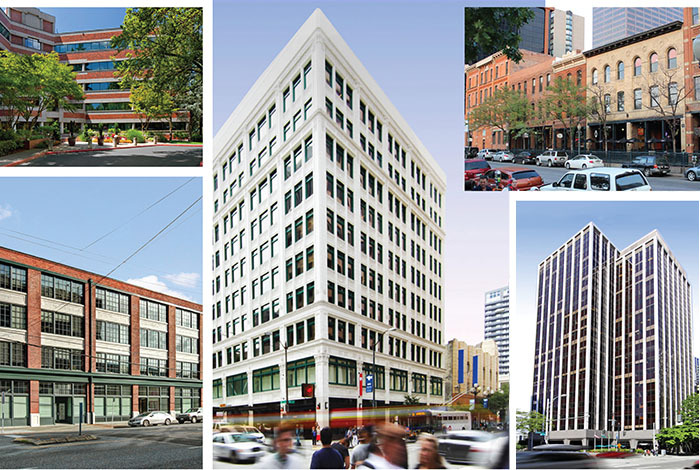 Weyerhaeuser made the decision to lease all the office space at the 200 Occidental building, recognized as a finalist for NAIOP’s 2015 Deal of the Year. Heartland was also retained by Weyerhaeuser to sell the Federal Way campus, undertaking a multi-faceted marketing approach on a local, regional, national, and international level. Our efforts resulted in multiple offers to purchase the Campus, with the property being sold to Industrial Realty Group (IRG) in February 2016. 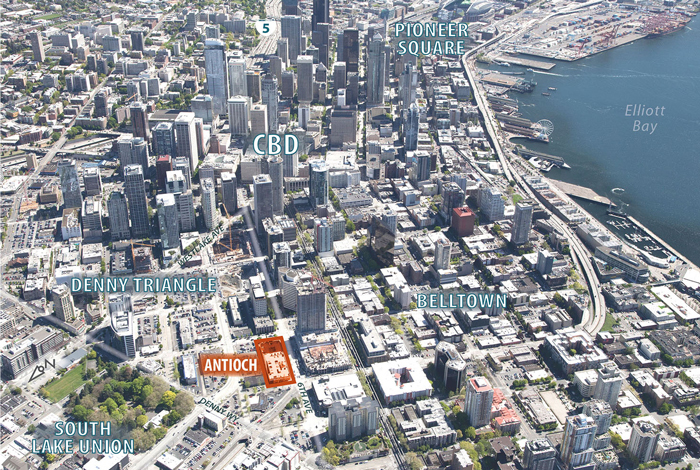 Heartland was initially engaged in 2001 by Pratt to provide an assessment of value for a three-block land portfolio being marketed for sale by Interstate Brands in the Central Area of the City of Seattle. 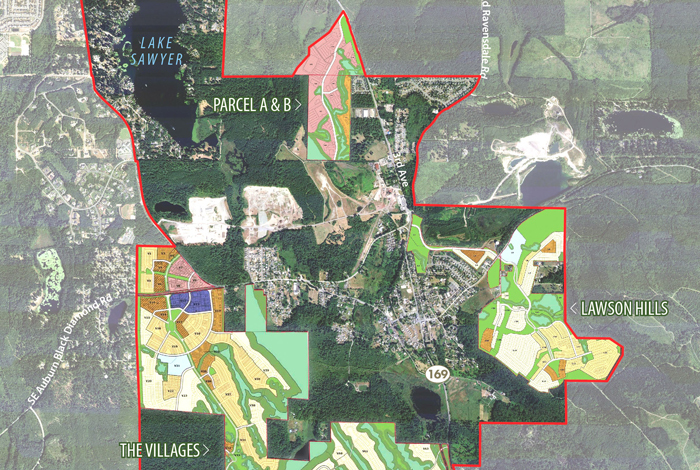 Heartland completed a financial analysis of the parcels to estimate the value of the land from the perspective of a multi-family real estate developer, considered the most likely purchaser for the portfolio. Heartland then assisted Pratt in completing negotiations and due diligence associated with the acquisition of one of the three blocks from Lowe Enterprises. In 2013, Pratt re-engaged Heartland to help create a concept for an arts-based community and then secure a private developer who shares the vision and has the capital and expertise to take it through the development process. The Heartland team generated several alternative configurations, analyzed the range of financial implications to Pratt and ultimately took the opportunity out to the market. The property is currently under contract and proceeding through permitting. After a local and national RFQ process, Antioch University selected Heartland to develop and implement a real estate strategy for its five national campuses. One of its campuses, Antioch University Seattle, was housed in an aging building in the Denny Triangle neighborhood. 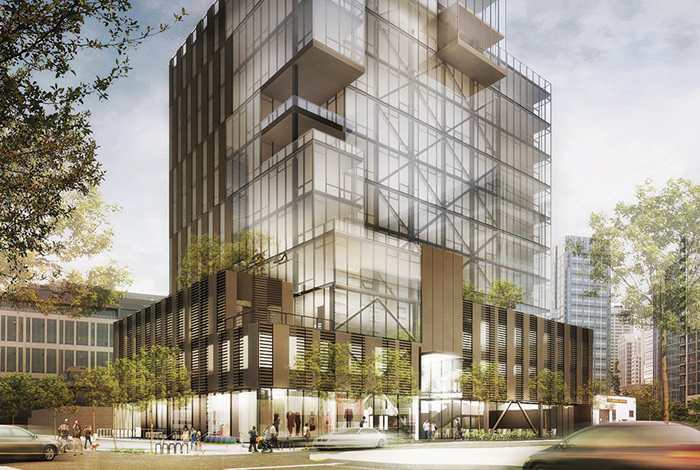 The Heartland team, in collaboration with Gensler, a global architecture firm, conducted a real estate alternatives analysis and determined that a sale of the property would best serve the University’s mission. Heartland represented Antioch in the sale of the 32,000 square foot property, creating an informative offering memorandum that was sent to over 3,500 firms around the world. Heartland met with and gave tours to interested parties, and received eight qualified offers for the site, which closed in Fall 2015. Heartland also helped Antioch identify, select and lease a new campus located at 3rd and Battery Street where classes began in January of 2017. Heartland has worked closely with The Polyclinic to evaluate and implement their expansion plans in the First Hill neighborhood. Through this engagement, Heartland integrated the unique operational requirements of medical institutions into its site search and evaluation criteria. Our efforts for The Polyclinic included helping to rezone an existing asset to allow for 130,000 square feet of medical office space, partnering with an equity investor to acquire and lease the 200,000 square foot 7th and Madison building, negotiating a 99-year ground lease of the adjacent block to accommodate parking and future development/expansion, leasing 62,000SF of office space for a new clinic and selling two surplus assets for just over $24M. Heartland continues to provide ongoing real estate, capital, and strategic advisory services to evaluate and facilitate expansion opportunities throughout the Polyclinic’s portfolio and service area. 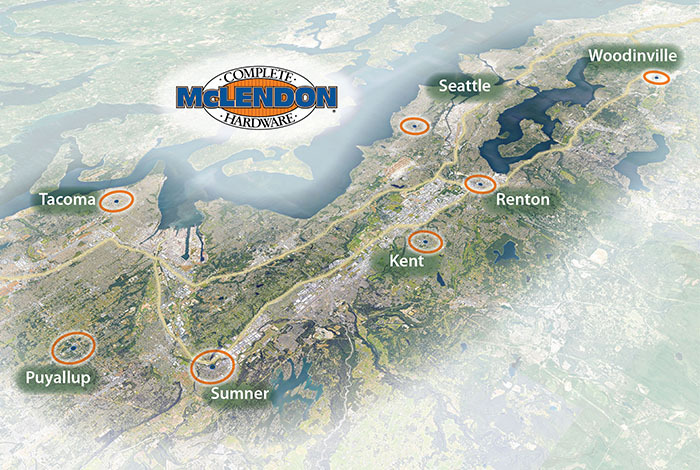 In 2015, Heartland was engaged by McLendon Hardware, a third-generation family-owned Seattle area hardware store chain, to assist them in a strategic alternatives analysis to maximize the value of their operating business and real estate as well as plan for succession. In 2017, Heartland’s work culminated in the sale of the hardware operating company to CNRG, a Memphis-based national hardware store, home center and lumberyard operator, and the disposition of the five-asset owned real estate portfolio to Suntrust with a leaseback to CNRG. As a result, the long treasured brand and company will continue to operate and a successful outcome for the shareholders was achieved. Heartland represented Navos, a rapidly growing county-wide mental health non-profit, in the sale of the approximately 2.55-acre Seattle Children’s Home site in Seattle’s Queen Anne Neighborhood in 2014. There are 66 townhouse residential units planned for the site. 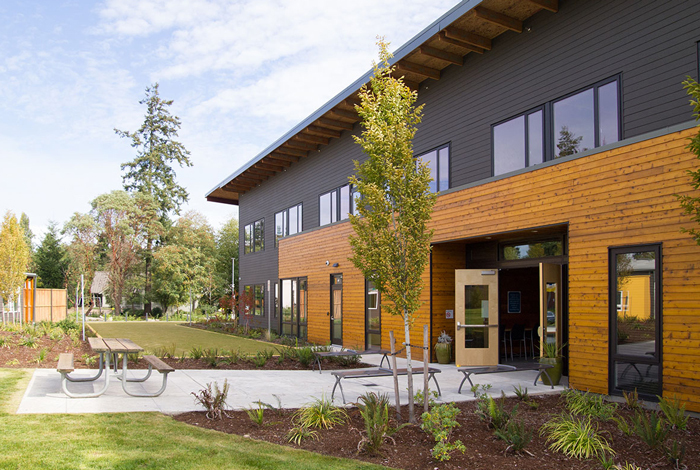 This brokerage activity was one part of a larger strategic and project management service engagement with Navos that resulted in the creation of the Center of Excellence for Children and Families at the former Ruth Dykeman Center Campus on Lake Burien, which was completed in December 2014. The new campus was recognized as NAIOP’s Community Impact of the Year in 2015. 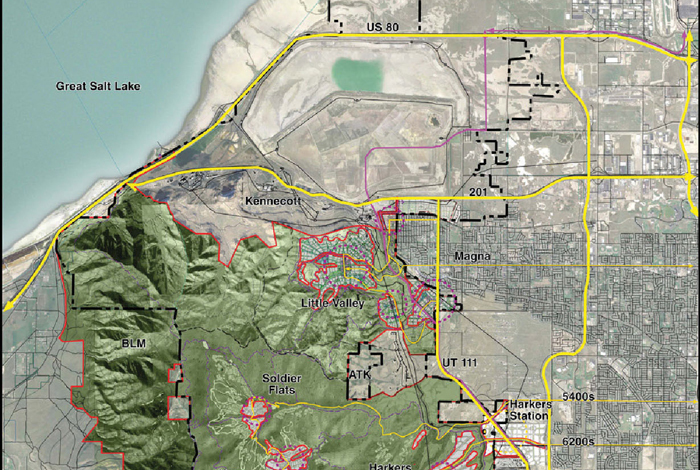 Heartland was engaged by the Kennecott Land Company (KLC) to provide market analysis and project management services for a feasibility analysis of two new mixed-use development communities in Utah’s Salt Lake Valley. These two areas total over 45,000 acres and have the potential to introduce approximately 18,000 new residential units and create over 1,200 jobs. Heartland’s detailed study analyzed attached and detached ownership product, rental housing, office, retail, and industrial uses to arrive at a recommended mix of uses to maximize value of the property. Utilizing this study, Heartland managed a team of consultants, ranging from engineers and land use planners to security specialists and sustainable energy experts, to synthesize the findings into a feasibility report that provided KLC with a strategic roadmap to implement the vision for these communities over the next 30 years. Since our founding as a real estate investment firm, Heartland investment activities have spanned multiple asset classes and platforms, ranging from land to income properties to for-sale residential product. Most recently, Heartland’s investment platform focuses on sub-institutional scale mixed-use and residential development and operating assets . Heartland Investment Opportunities (HIO) provides a unique channel to connect informed, forward-looking capital partners, to small- to medium-scale, best-in-class local developers and operators that are focused on inspired, impactful real estate in our local communities. 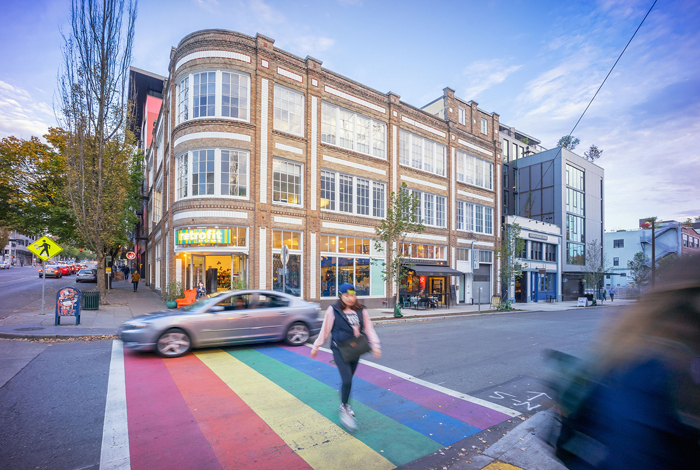 Heartland partnered with Liz Dunn to fund the recapitalization and expansion of the 12th Avenue Marketplace Project located within the Pike-Pine Corridor of Capitol Hill. Led by Dunn & Hobbes, this opportunity combined the recapitalization of approximately 70,000 square feet of existing retail, office and residential space with approximately 38,000 square feet of newly constructed office, ground-floor retail and penthouse residential units. Heartland is providing asset management services through the life of the investment, adding value through our in-depth understanding of local zoning, market dynamics, and project financing. Heartland successfully recapitalized the ~$11.6 million project. 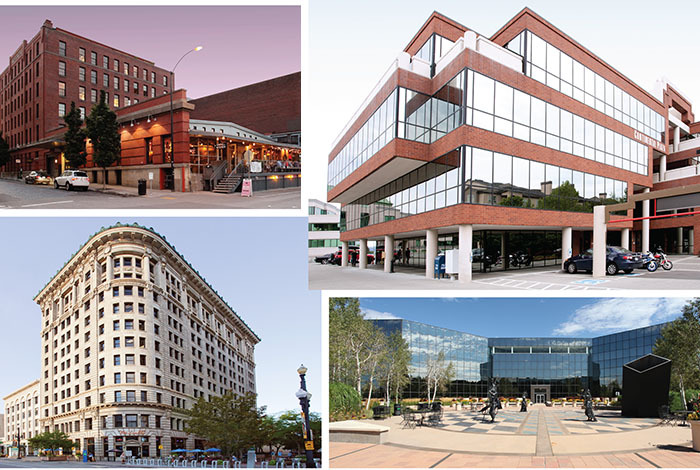 In 2015, Chophouse Row was recognized as NAIOP’s Mixed-Use Development of the Year and has been featured as a Case Study for Small-Scale Development by the Urban Land Institute. 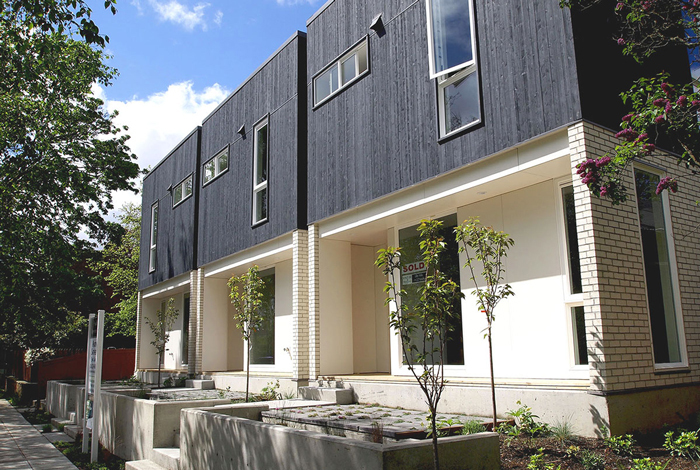 Heartland collaborated with gProjects on the 339 Development, an 8-unit, new construction, urban for-sale townhome community located in Seattle’s North Capitol Hill neighborhood. The project architect was Workshop AD. Heartland successfully capitalized the ~$4.4 million project. Heartland provided project-level and asset management support, adding value through our in-depth understanding of local zoning, market dynamics, and project financing. The 339 Development was completed in the Spring of 2015 and sales were completed in Summer of 2015. 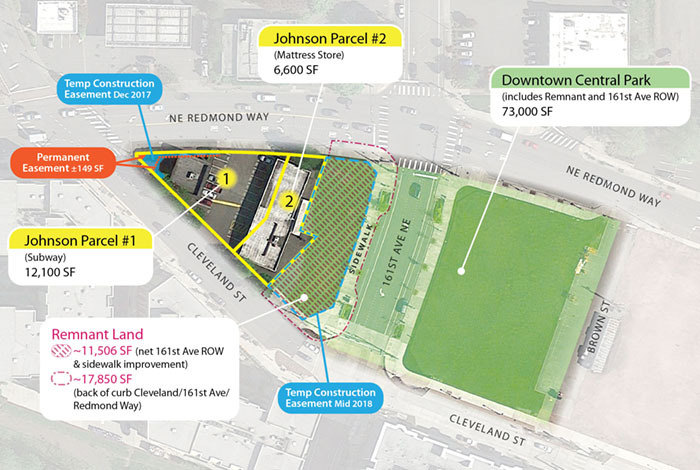 Heartland purchased this 12,119 square foot site in the Roosevelt Neighborhood of Seattle, near the University of Washington (UW) and across the street from the Whole Foods anchored Roosevelt Square Center. Heartland oversaw the design, planning, entitlement, marketing and sale processes. Entitlements included successfully obtaining approval of a Master Use Permit, shoring permit and building permits for 63-unit apartments, 4,280 square feet of commercial space and 60 parking stalls. 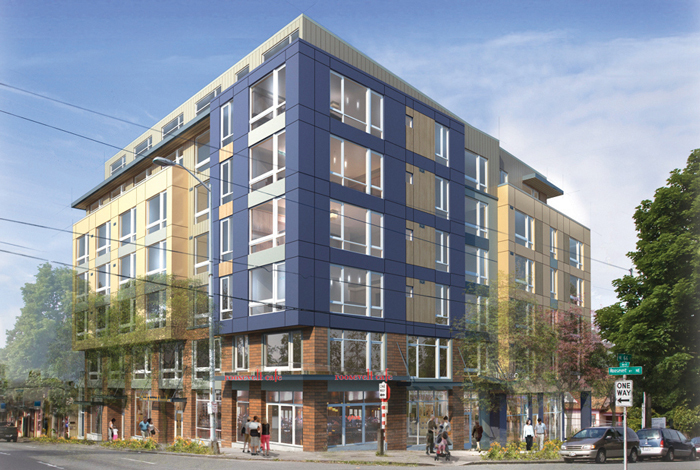 The project was awarded one of the first Multi-family Tax Exemptions from the City of Seattle that provided substantial tax incentives for the project developer. 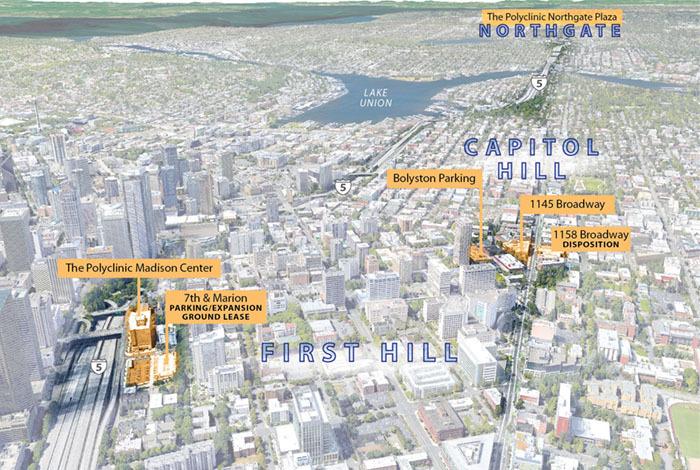 In early 2015, Heartland partnered with Liz Dunn of Dunn & Hobbes on a second investment in the Capitol Hill neighborhood in Seattle. The Baker Linen investment facilitated the recapitalization and repositioning of the iconic, three-story 19,000 square-foot existing building that includes a combination of office space and ground-floor retail. 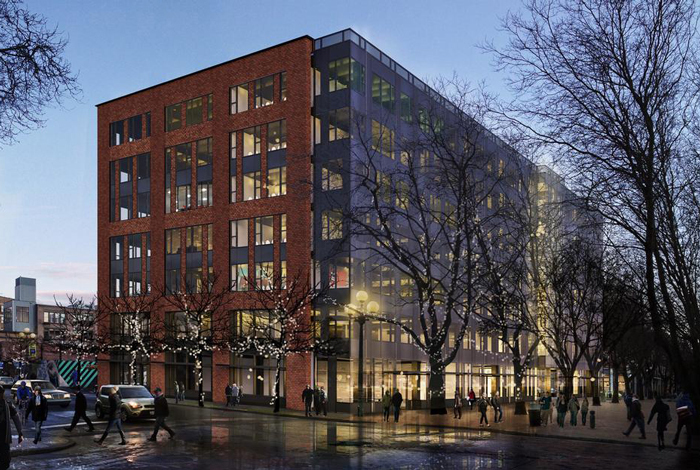 The building sits at the corner of East Pike Street and 11th Avenue, a vibrant pedestrian intersection adjacent to Chophouse Row, the latest addition to Dunn & Hobbes’ 12th Avenue Marketplace development. In April 2015, Heartland successfully recapitalized the ~$5.5 million project. Heartland is providing Asset Management services through the life of the investment. Heartland partnered with gProjects to assemble and purchase the land, and capitalize a 7-unit, new construction, urban for-sale rowhouse and townhome community, as well as the renovation of an existing single-family home. The project architect was b9 architects. 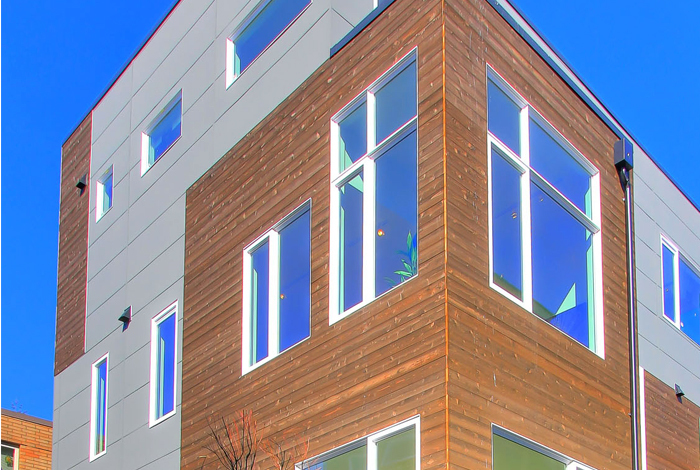 Led by Graham Black, gProjects has been developing exceptional homes in urban Seattle neighborhoods, focused on niche, infill, sustainably constructed environments for over 10 years. Heartland successfully capitalized the ~$7 million project, and provided project-level and asset management support, adding value through our in-depth understanding of local zoning, market dynamics, and project financing. gProjects’ Malden Development was completed in Spring of 2016 and sales were completed in Summer 2016. Heartland partners with organizations that need additional support towards community enhancing programmatic initiatives by offering effective, interim resources and dedicated staff, structured around a simple and cost effective model. In all instances, our priority is to be aligned with the mission of our community-based partners and to fully understand organizational values and goals. We work with our partners to design and deliver strategic solutions tailored to their mission. Heartland Community Partnerships can provide research, report and presentation preparation, strategy development, program development and implementation, program/project management, event support/management, collateral development, marketing/communication strategy, and community/stakeholder engagement. The Mountains to Sound Greenway Trust endeavors to connect people to nature so as to create healthy, happy, and strong communities. They are the stewards of an iconic 1.5 million-acre landscape that spans from Seattle to Ellensburg, and partner with public and private entities to ensure that everyone has responsible access to nature that works in harmony with vibrant urban areas. The Greenway has engaged Heartland to help create collateral for upcoming campaigns and to forge new and unique partnerships aligned with the Greenway’s mission. 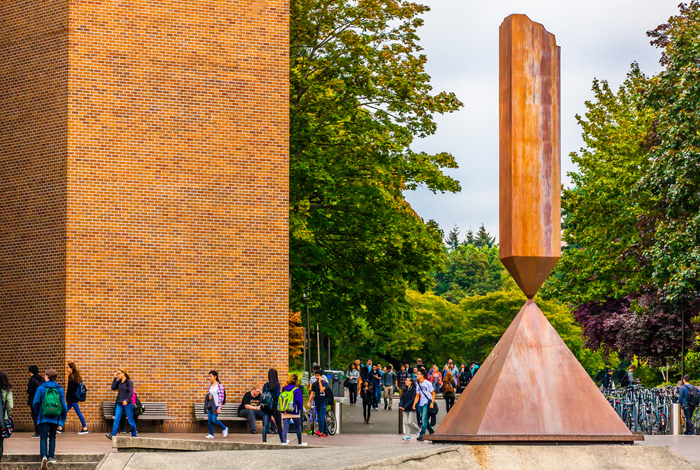 As a leading and growing university program, the University of Washington Runstad Center recognizes the need to consistently engage with current and prospective students, faculty, board members, industry, and the public. Runstad Center for Real Estate Studies has engaged Heartland to define social media strategies, provide event support, and develop graphics for stakeholders. In partnership with the Runstad Center, Heartland created and implemented a clear outreach strategy with regular newsletters and blog posts, generating original material for the Runstad blog on an ongoing basis.